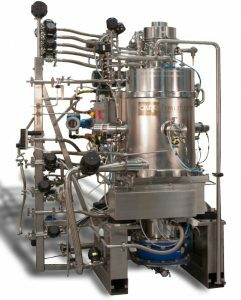 PneumaticScaleAngelus’ unique CARR P18 Powerfuge System provides continuous-flow two-phase separation of solids and liquids at rates up to 1700 liters/hour for batches up to 10,000 liters. Using an innovative design, the feed is introduced through a stationary pipe and accelerated to full rotational speed before entering the titanium-alloy bowl. 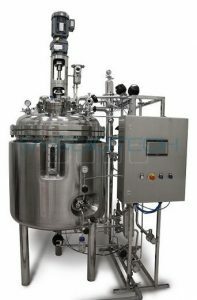 In this system centrifugal forces as great as 20,000g permit separation of even sub-micron particles. Compressed solids are periodically removed with a fully-automated scraping cycle. 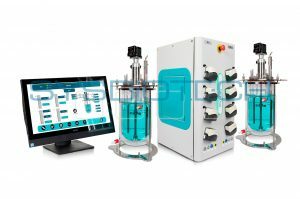 After the solids have been discharged, automated CIP/SIP cycles can be performed via the PLC-controlled operating sequence. The P18 is designed for ease of operation, with sealed feed and drain lines allowing for aerosol-free operation. Similarly, no special tools are required to disassemble the system. 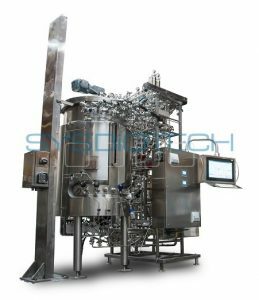 Integrated turnkey systems incorporating feed delivery options, CIP and SIP skids, temperature control, and closed-loop centrate pumping under vacuum are available. 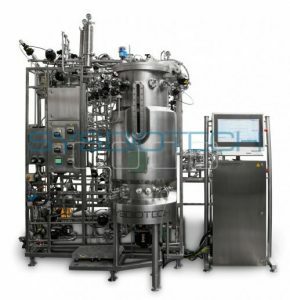 The P18 system meets cGMP and CE requirements and has been validated to meet chemical and pharmaceutical industry protocols. The P18 is engineered to optimize ease of operation while maximizing throughput; each step in the process can be readily automated so that time spent on routine maintenance can be minimized. • State-of-the-art manufacturing facility located in Clearwater, FL.